The Institute students decided to join in with a fair taking place in the town during the festivities leading up to the celebration of Our Lady’s birthday – the patronal feast day of our church. 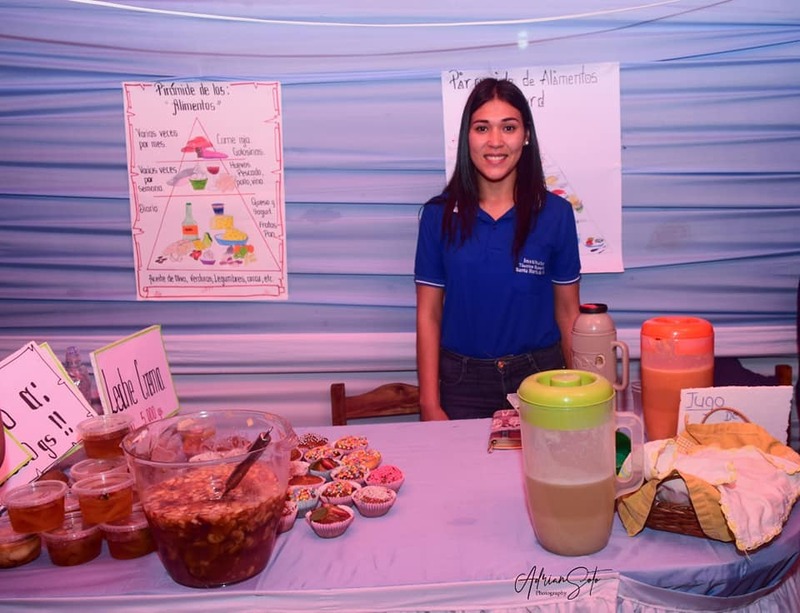 In groups they prepared food and drink to sell, including traditional Paraguayan chipa and sopa as well as pizza and desserts. Their aim was to raise some money to replace things that had broken or gone missing in the Institute’s kitchen and if there was any money left to equip it further. The amount raised far exceeded expectations and they were able to buy two new ovens and some industrial scales. The students who attend the Institute are generally amongst the poorest in the area and they would be unable to fund their studies, even partially, but are more than willing to throw themselves into projects such as this to contribute in some way to their education. Pictured is one of our first year students, Lorena. Well done to all involved!